This Electronic Press Kit is meant to provide you with information about Matt Fowler as a worship artist. Matt has served as a worship pastor for the past 11 years in Florida. His musical experience ranges from the modern sounds of Bethel Music, Elevation Worship, Vertical Worship, Chris Tomlin, David Crowder, & Matt Redman, to more traditional hymnal worship and everything in between. With a passion for writing original music for congregational worship, he has seen many of his songs featured in local worship gatherings. // Short Bio: Matt Fowler is a worship artist seeking to encourage authentic worship with God’s people. Originally from Muskogee OK, he now resides in Saint Augustine FL, with his wife and three children. The heart of a worship pastor for worship pastors. In 2017 God began moving in Matt’s heart to embark on a new journey which has lead to NEED A BREAK. 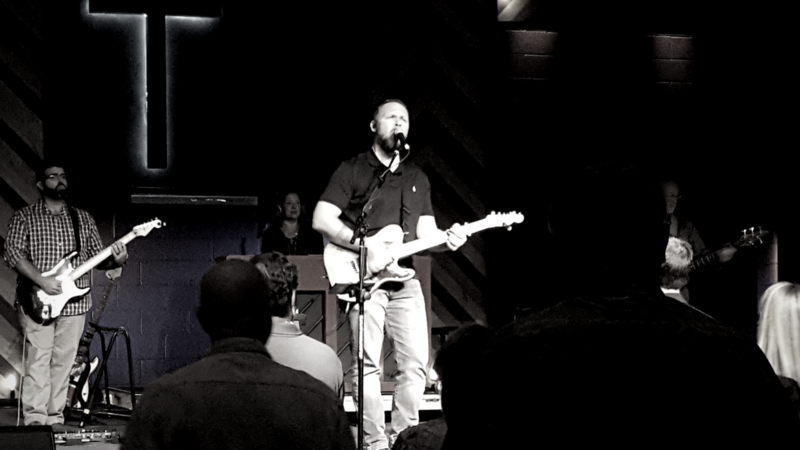 Having lived the life of a worship pastor for many years, he knows the blessings, struggles, and frustrations associated with full time ministry. Upon noticing a great need in the church, Matt now travels to churches where worship leaders need time off (vacation, burn out, emergency, sabbatical, interim, etc) to fill in for them. He is not interested in being a glorified traveling worship leader, he is more concerned with developing relationships and coming alongside you and your ministry to help as needed.